After winning Food Network Star, d’Arabian launched her show, Ten Dollar Dinners. The premise of her show is to give healthy, family friendly recipes and meal ideas that cost under ten dollars. In every episode, she follows her Ten Dollar Promise: “four people, ten bucks, infinite possibilities. In 2012, she published her first cookbook, Ten Dollar Dinners: 140 Recipes and Tips to Elevate Simple, Fresh Meals Any Night of the Week, which became a New York Times best seller. Also in 2012, Melissa began hosting a show on the Cooking Channel, Drop 5 Lbs. with Good Housekeeping. She shares healthy recipes and lifestyle tips to help people learn how they can lose weight and still enjoy good food. She has also appeared on several other Food Network series, such as The Best Thing I Ever Ate, Chopped, Food Network Challenge, and The Best Thing I Ever Made. 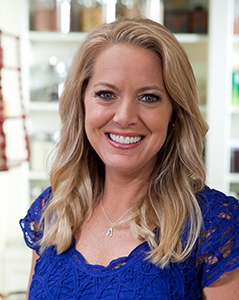 Her recipes and budgeting tips have also been featured on the Today Show, CNN, People, Food Network Magazine and iVillage.com. 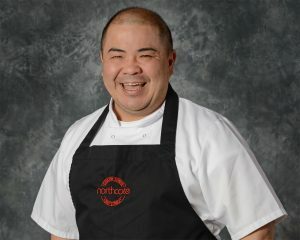 Executive chef and joint owner at Yu Alderley Edge, recognized as one the leading high-end Chinese restaurants in Aderly Edge, United Kingdom. Yu is passionate about taking Chinese cuisine to the next level, using the best ingredients to blend fine dining with both traditional and modern methods of cooking. Yu incorporates new techniques and skills he learned from his father, Charlie Yu, to create award-winning, distinctive dishes. Yu views Yu Alderley Edge as a restaurant that brings a new spirit of Chinese dining to the hospitality industry. Yu will add a nice flare to this year’s Caribbean Food & Wine Festival, bringing his Chinese heritage to the island as he continues to push the limits with cooking styles and trends. 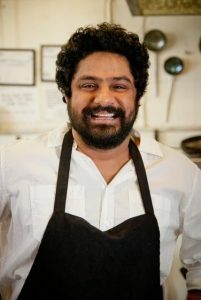 Executive Chef and co-owner of Chai Pani will also join this year’s all-star lineup. Chai Pani, an authentic Indian street food operation in downtown Asheville, tells a story of spice markets, hawkers, rickshaws and streetside chefs through smell, flavor, color and taste. With the opening of his fifth restaurant, a catering company, and two James Beard Award nominations for Best Chef in the Southeast, Irani’s Georgia-based restaurant, Chai Pani, is his most prized accomplishment. His self-taught talent and restaurant ventures have resulted in coverage in The New York Times, Wall Street Journal, GQ, Food & Wine, Men’s Health, USA Today, and Bon Appetit, among others. He credits his business success to the people he works with each day, including his business partner and wife, Molly.